On a routine delivery, a client asks Hanneke for help. Expecting to hear that Mrs. Janssen wants meat or kerosene, Hanneke is shocked by the older woman's frantic plea to find a person - a Jewish teenager Mrs. Janssen had been hiding, who has vanished without a trace from a secret room. Hanneke initially wants nothing to do with such dangerous work, but is ultimately drawn into a web of mysteries and stunning revelations that lead her into the heart of the resistance, open her eyes to the horrors of the Nazi war machine, and compel her to take desperate action. A long time before Bas died, we had a pretend argument about whose fault it was that he'd fallen in love with me. It's your fault, he told me. Because you're lovable. I told him he was wrong. That it was lazy to blame his falling in love on me. Irresponsible, really. I remember everything about this conversation. It was in his parents' sitting room, and we were listening to the family's new radio while I quizzed him for a geometry exam neither of us thought was important. The American singer Judy Garland was singing "You Made Me Love You." That was how the conversation began. Bas said I'd made him love me. I made fun of him because I didn't want him to know how fast my heart was pounding to hear him say the words love and you in the same sentence. Then he said it was my fault, also, that he wanted to kiss me. Girl in the Blue Coat has many twists and turns, and just when readers get comfortable in the knowledge that they know what will happen next, Hesse pulls the rug out from under them. A surprise ending, along with several other awe-inducing reveals along the way, keep readers in suspense to the very end. (Reviewed by Mollie Smith Waters). The themes of love, betrayal, heroism, social responsibility, and atonement are beautifully intertwined with well-developed characters and a compelling story line. Thoroughly researched, this work brings history alive in a clear and concise way that rings true. 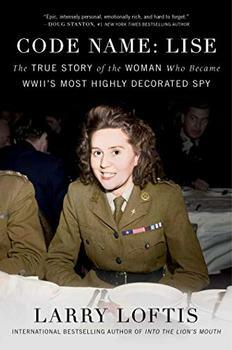 A must-read for fans of historical fiction, especially stories set during World War II. An] affecting novel...that skillfully combines reality with fiction. Her characters come alive, and...Hesse's pacing infuses her story with thriller suspense, enriching the narrative with dramatic surprises both small and large. Rich in content and emotion, this is a first-rate companion to the historical tales of the onderduikers, the hidden Jews of Holland, and a compelling read. Starred Review. Themes of guilt and betrayal, ingenuity and courage, and the divisive effect of the occupation on friendship and community weave through a gripping historical mystery in which people and places, including the title character, are often not what they appear. Ages 12+. Girl in the Blue Coat is a powerful, compelling coming-of-age story set against the dark and dangerous backdrop of World War II. It's an important and page-turning look at the choices all of us - including young adults - have to make in wartime. Every devastating moment of this beautiful novel is both poignant and powerful, and every word feels true. Great story. Once i started, I didn’t want to put it down. When Germany invaded The Netherlands in May 1940, few could have imagined the horrors that would follow, including the murder of about three-quarters of the estimated 140,000 Jews living in the country before the war. Almost as soon as occupation began, resistance groups formed to oppose German dictates. 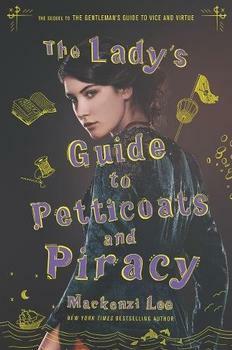 Felicity Montague must use all her womanly wits and wiles to achieve her dreams of becoming a doctor - even if she has to scheme her way across Europe to do it.